Jenny holds a Bachelor of Kinesiology from SFU, where she was involved in varsity soccer and cross country running. Later, various chronic injuries led her to pursue competitive road cycling alongside working as a Kinesiologist. As a member of cycling BC and Trek Red Truck Racing she went on to win the Whistler Gran Fondo among other races across North America and Europe. As a Kinesiologist she specialized in creating active rehabilitation programs for whiplash-associated disorders and chronic neck and lower back pain. 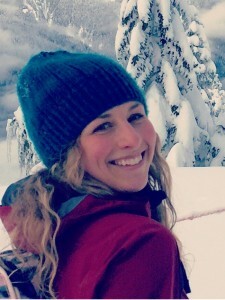 Jenny completed her Masters of Physical Therapy at UBC, and has since pursued coursework in Orthopedic Manual Therapy, the Mulligan Concept, Bobath neuro-rehabilitation techniques, vestibular rehabilitation and is in the process of obtaining her clinical pilates certification. In her practice, Jenny emphasizes the importance of correcting biomechanical faults and postural dysfunction through manual and active interventions to enhance performance in life and in sport. She also offers a dynamic cycling analysis, which merges industry bike fitting protocols with her clinical and experiential knowledge of cycling kinematics to optimize your comfort, performance and prevent chronic injuries. While Jenny enjoys working with elite and recreational athletes, she’s equally passionate about optimizing function and independence in patients with chronic neurological conditions including concussion, peripheral neuropathies, Parkinsons, MS, Spinal Cord Injury and Stroke. In her spare time, Jenny can be found running, cross country skiing, mountain biking and road cycling in the local North Shore mountains.